Click Here To Get Your First 5 Leads for FREE! Attorney Internet Marketing LLC is a top notch marketing organization that develops joint marketing programs and website leases for attorneys. Our ability to place websites at the top of Google, Yahoo and Bing search engines for high traffic, high-value keywords is what separates us from the other SEO, joint advertising and website lease companies. The most unique aspect of how we do business and what sets us apart from our competition is the fact that we do not charge you any money until we are generating qualified, high quality leads. Whether you choose to participate in our joint advertising or website lease programs you will never come out of pocket one dollar until we are providing you with high quality, qualified leads that are generating revenue for your practice. Since conversion of leads into cases is such an important part of growing your practice we offer free training for your staff to help educate them on the most effective techniques to convert leads into signed cases. In a very short amount of time we will train your staff to convert leads into cases at a higher percentage than you are currently converting them now. We will also train your staff on how to identify other potential legal issues that could be accompanying the legal issue you are handling for the client. By doing this we can show you how to generate more income for your practice by referring these other legal issues out to attorneys in your area and earn a percentage of their attorney fees. If your staff is too busy to handle incoming calls or you are interested in contracting this task to experts like us, we can handle all incoming calls, qualify the leads and put them in touch with your staff via the telephone in real time to ensure the appointment is set. Remember, if there is any lapse in communication potential clients could pick up the phone and call and set an appointment with another firm. That is why it is so important to precisely follow our training or have us do the intake for you. If you chose to not have our staff vet and qualify leads we will always deliver the leads to you in real time, whether it is by email, text or call forwarding the leads to your main phone number. Our goal is conversion and we have the experience to show you how to convert and double your practice in just a few short months. Are you tired of spending thousands of dollars each month on search engine optimization companies (SEO)? Or maybe you’re frustrated and discouraged due to bad experiences buying leads from law directories and lead generation programs that produce low quality leads that are not even viable. If any of this sounds familiar, pick up the phone and give us a call today and start making some real money. Ask yourself this question. Is there any other offer that you’ve heard like this one? Has anybody ever offered you high quality, qualified leads with no upfront costs? Again, we do not ask for a dollar until we deliver you high quality, qualified leads. You have everything to gain and nothing to lose. 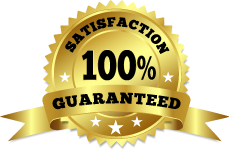 We are so confident in our ability to produce high-quality, qualified leads, we will give you your first 5 leads at no charge and if you choose a website lease we will give you the first week for free. Pick up the phone and find out how we can grow your practice and increase your revenue today. Call toll free 866-720-8333. At Attorney Internet Marketing, we become a customer service and marketing partner in your business. We help you more effectively manage the online reputation of your business by reaching out to your happy customers and helping them to articulate why your business is so great. Our innovative service helps facilitate the online review process for your customers, making it easy for them so they are more likely to follow through and actually post the positive online reviews you need to grow your business. Content is king in the world of Internet marketing. Your website content is what captures the attention of potential clients, and creates the site visitor’s first impression of working with your firm. The content of your site is what tells your unique story. It’s what brings your website to life and makes a connection with your site visitors. The legal content writers at the Attorney Internet Marketing group specialize in writing compelling content for your law firm’s website that will spark the interest of potential clients and get them to take the next step in contacting you. The quality of your website content is a key determining factor in the number of leads that are converted to clients. In today’s competitive marketplace, simply having a website is not enough. Your website is most often the first place that your potential clients “meet” your firm and consider hiring you for their legal needs. Your online presence provides that vital first impression for the majority of your potential clients, and that impression can make or break your chances of converting that site visitor into a paying client. Attractive, eye-catching website design and easy navigation are key factors in keeping your site visitors on your site, rather than clicking away to discover your competitors. Imagine being able to personally meet each potential client that visits your website. Think of how you could warmly greet each person, share important information about your law firm, establish your professional credibility, and communicate what makes your law firm different and better. How much easier would it be to convert that site visitor to a paying client? The answer is: much easier! The good news is that with professionally produced layer videos from the Attorney Internet Marketing group, you can share your unique and compelling message with your potential clients in a dynamic way. If you’d like to get high quality leads without all the work involved obtaining them, Attorney Internet Marketing has a great solution for you: joint marketing programs. What is a joint marketing program? A joint marketing program is a campaign that we’ve developed to generate suitable, high quality leads. Through years of research, we’ve created an effective strategy to generating high quality leads for our clients. Our strategy, which may include Internet marketing and grassroots marketing campaigns, is so effective at generating leads, we guarantee our results. At some point, you’ve probably taken the steps to develop a website. How did the process go? It was a lot more complicated, expensive, and slower than you originally thought, right? What’s even more frustrating is that you may not have liked the results. Maybe you loved the way your website turned out, but now you have to get it ranking at the top of search engines, such as Google, Yahoo, and Bing.